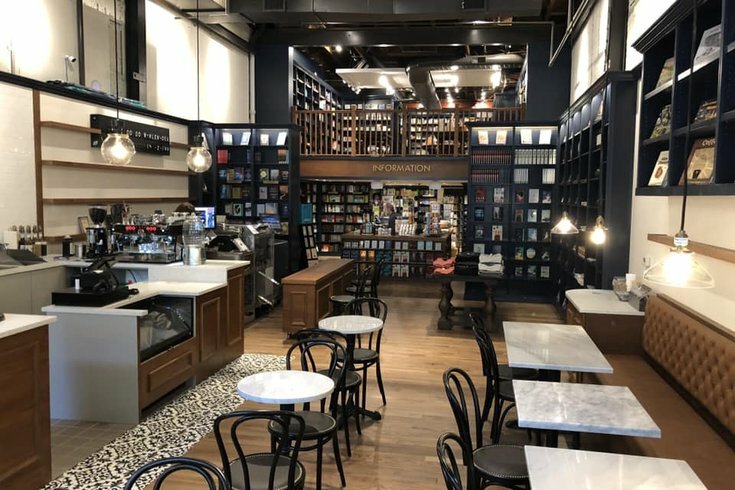 Shakespeare & Co. opened its very first location outside of New York City, setting up shop on Walnut Street in Rittenhouse. Shakespeare & Co., a long-running bookstore and institution in New York City, made its first steps toward becoming a national brand with its very first non-NYC location in Rittenhouse. The new shop quietly opened last week at 1632 Walnut Street, sandwiched between Foreyes and Lucky Brand. Though the shop has been an important figure in New York for many years, it became part of a new holding company in 2015 with a vision to expand the concept nationally as a broader move away from big-box stores and toward more intimate retail and shopping experiences. In addition to the new Philadelphia location, there are two new New York locations planned for Shakespeare & Co., which has no affiliation with the famous bookstore in Paris of the same name. All the new Shakespeare & Co. locations are about 3,000 square feet and include a cafe and Wi-Fi. You can also expect a book machine and a curated inventory of about 15,000 titles. The Philadelphia shop's cafe menu includes La Colombe coffee and food from Le Bus and Metropolitan Bakery. From here, Shakespeare & Co. has a five-year plan to solidify a national footprint. In the near future, new shops will be focused on the East Coast, eventually making it to Boston before moving to Chicago and further west. Philadelphia's Shakespeare & Co. is open weekdays from 7:30 a.m. to 8 p.m. Saturdays the shop is open from 8 a.m. to 9 p.m. and Sundays from 9 a.m. to 6 p.m. Check out more updates on Facebook.